What do you do when you’ve never seen snow, and you want to improve your English and meet people from all over the U.S. and the world? You go to Manchester, Vermont as an exchange visitor through InterExchange of course! And that’s exactly what Carol did. “It’s so beautiful,” she said about Manchester. 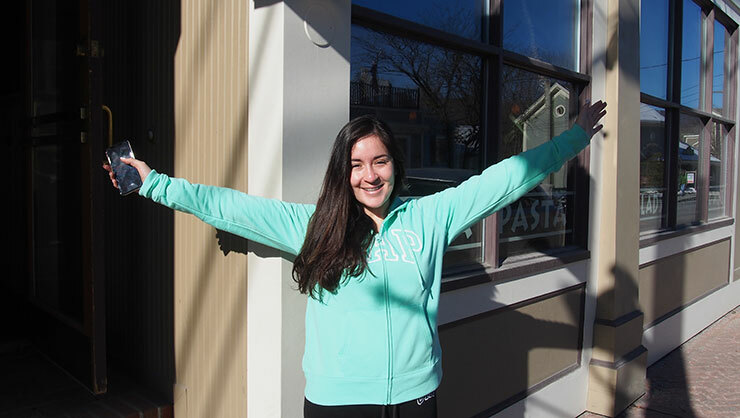 Carol is studying business engineering at Universidad Andres Bello in Concepción, Chile and is spending her vacation in Vermont on a U.S. Department of State Exchange Visitor Program. 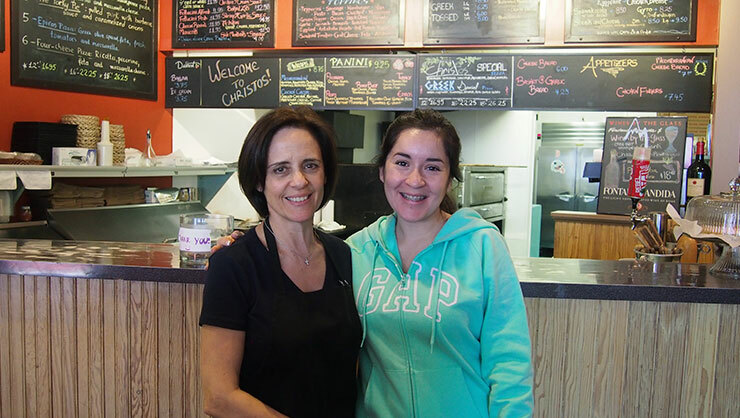 During her break from university, Carol has been living and working in Manchester at Christo’s Pizza and Pasta. Christo’s is a family-owned business on Manchester's Main Street that has been feeding hungry skiers from Bromley and Stratton Mountain for decades. Carol enjoys working at the restaurant and meeting travelers from around the U.S. and the world. Carol and her host employer, Athena. Carol’s time in America is coming to an end. After her time living and working in Manchester, Carol is looking forward to visiting New York City!